This week saw one mentee needing help with estate agents on points of law and getting things right. The letting agents firstly wanted to use an Assured Shorthold Tenancy (AST) for a Rent to Rent agreement and would not budge, in pointing out that this is really the first step of knowing the law and the Housing Act 1988, they seemed surprised that we would even suggest that an AST was wrong, even though they claim to be working with companies already. This means that when doing Rent to Rent you need to use a common law tenancy or company letting agreement (each is essentially the same thing as a company cannot be an individual). An individual is a living breathing person known as natural person and a company is not. The company is an artificial person, not a natural person, therefore, not an individual and using a AST would be a nonsense. If an agent is pushing you on this, you are likely not making yourself and your company’s intentions clear, you have misinformed them of how you are going to work, or they are not used to dealing with this type of let and need education. We worked on this and agreed that we would let the agent prepare the suitable agreement for the let. What happened next was interesting,because a commercial lease was produced by the agent and this again was the incorrect agreement. This is another error that gets madequite often and will leave you exposed to many costs which you may not understand and would pass all the landlord’s responsibilities on to you. Then in this situation it is likely you would never make any profit and possibly lose money consistently. (iii) keeping in repair and proper working order the installations in the property for space heating and heating water. (iv) determining the standard of repair required by the Landlord under this clause, regard shall be made to the age, character and prospective life of the property and the locality in which it is situated. Your Rent to Rent property is a dwelling house and the section 11 provision must in the agreement, do not compromise These are the landlord’s responsibility in the same way as they would be under any statutory or assured tenancy. The occupants and your responsibility through them is occupant maintenance such as keeping sinks, drains etc. free from blockages, except where the cause is beyond the reasonable control of the occupants; which is handled clearly in Section 11 as referred to above. Being educated in these matters is important, so, if like the mentee you choose to leverage someone else who knows these things, then of course the mentorship for mentee has been invaluable. Rent to Rent is a property investment strategy of renting properties, subdividing them and renting the rooms as units for a profit. Mr Des Taylor is the UK leading cashflow strategist in this area of property investment. 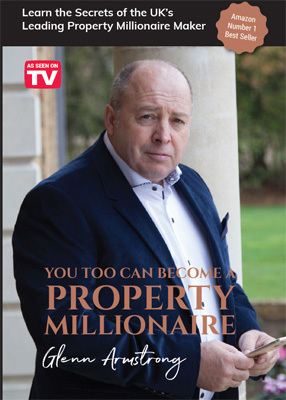 Glenn Armstrong’s Property Millionaire Academy provide a comprehensive access to the 24 sophisticated investment strategies of which Rent to Rent is one of them. 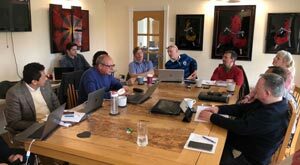 Des Taylor is running a webinar on the 25th April all about the topic of Rent to Rent. To sign up, please click here.